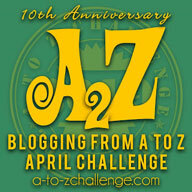 My blog posts all through April will follow the theme: "My favourite Indian comic/cartoon characters." 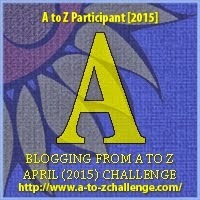 For the letter A, I have chosen Akbar Birbal. 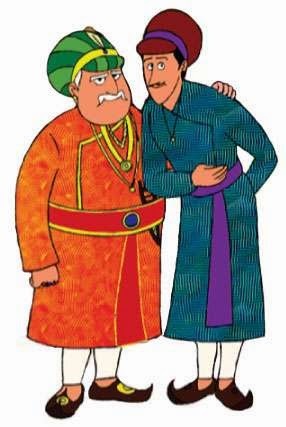 Ever since my childhood, I have enjoyed reading the witty stories of Akbar Birbal where Birbal always solves King Akbar's problems through his wittiness. Emperor Akbar was the most famous and powerful Mughal ruler who ruled India from 1542 and Birbal was his beloved and favourite courtier and also his most trusted friend. Birbal was among the nine ministers of Akbar's court who had all been selected based on their top prowess in their respective fields and are known as "Navratan" or "Nine Jewels" in history. Birbal was known for his cleverness and wit. He could solve the most difficult and impossible looking problems using his intelligence. His nearness to Akbar caused jealousy in the other courtiers who, every now and then, tried to cause trouble for Birbal but every time he was able to defeat his opponents and earn a reward from the emperor too! One day Emperor Akbar lost his ring and was very troubled about it. His guards searched everywhere but could not find the ring. Feeling devastated and very sad, Akbar sat in deep thought. When Birbal arrived. He saw his beloved King, sitting with a sad face and could not help asking what the matter was. "Your majesty, you look sad. Is something the matter?" He asked gently. "I have lost my ring. The ring had been a gift to me from my father. I have searched everywhere but have not been able to locate it." He told Birbal. "Your majesty, don't worry. The ring is here in the court." "Here?" Akbar was shocked to hear this. "It is with a courtier who has a piece of straw in his beard." Birbal told the emperor confidently. The courtier who had stolen the ring immediately moved his hand to check his beard which was noticed by Birbal who motioned towards this courtier and announced. "Search this man. He has the emperor's ring." The guards immediately obeyed his command and the courtier was searched and the ring found in his robe. Akbar was very surprised and asked Birbal. "How did you know that he had the ring?" Birbal smiled and said, "A guilty person is always scared. When I told you that the thief had straw in his beard, he immediately thought that I was talking about him and went ahead to check his own beard and was caught." Akbar was very happy and rewarded Birbal for his wisdom, intelligence and cleverness. Come back tomorrow to checkout my favourite Indian cartoon/comic character whose name starts with B!